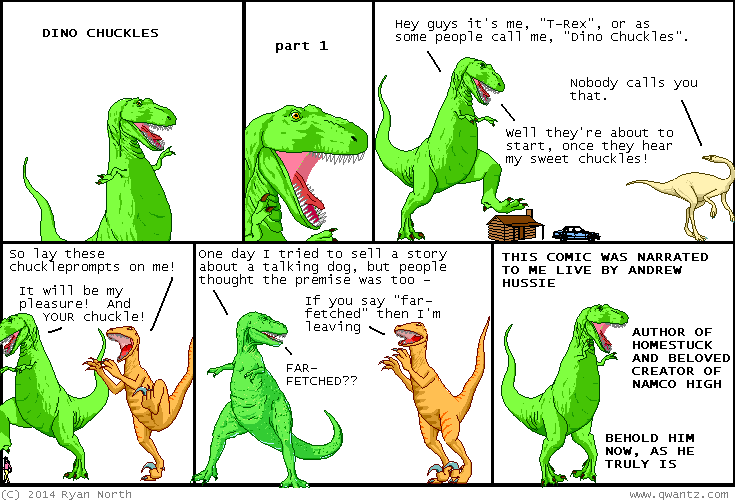 Dinosaur Comics - January 29th, 2014 - awesome fun times! January 29th, 2014: Yesterday I mentioned how I wasn't sure we could trust David Malki. Now I'm not sure if we can trust... ME? ?